Hop on down to Bellingrath for the annual Easter Egg Hunt! 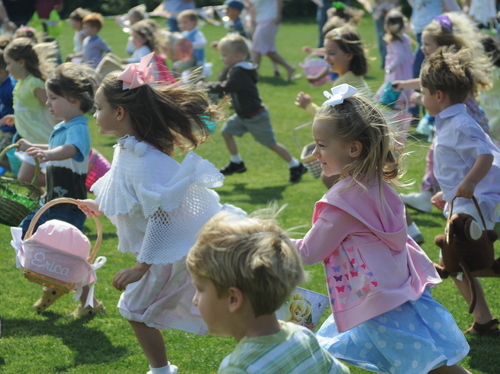 Thousands of Easter eggs will be scattered over the Great Lawn for children to scurry and collect. There will be plenty of candy and treats for kids of all ages. The Easter Egg Hunts will begin at 9 a.m. on the Great Lawn. Children may participate in one of three hunts, depending on their age. A professional photographer will be available to take children's portraits with the Easter Bunny from 9 a.m. to noon.